Let’s face it, we’re busy people. From work commitments, to personal obligations, to plans and errands in-between, we’re spending a good amount of our daily lives running from one thing to another. And now, more than ever, we’re fighting (and succumbing to) the urge to get caffeinated. Though it’s arguably easier to grab a quick brew from our favorite shop when we’re out and about, it’s become more financially smart to stock up and bring our favorite blends along with us. From the convenience, to the taste, to, of course, the money-saving aspect, RTD (ready-to-drink) coffee brands have been making a steady incline in popularity over the last few years. Here are a few RTD brands you may not have heard of, but need to take note of right now. Everything about this brand screams “21st Century,” and even in their product page description they talk about the contemporary convenience of high quality coffee with online ordering and personal delivery. Need I say more? 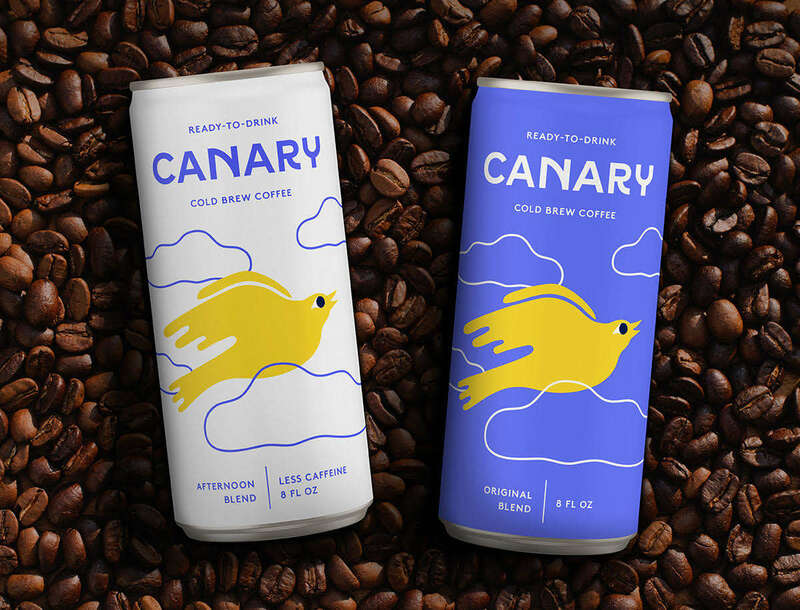 Canary offers two different cold brew blends: “Original” and a slightly less caffeinated “Afternoon” option. The Original has a smooth blend with light fruit tones and a chocolatey finish. The Afternoon is half the strength to keep you going throughout the day, without keeping you all night. The brews are made with organic, fair trade beans and nanoscale filtration. Plus, they can be ordered online with customized subscription options so that you don’t end up with an oversupply or obligatory purchases when you’re not quite ready. The company’s Kickstarter campaign currently has 416 backers and over $16,00. 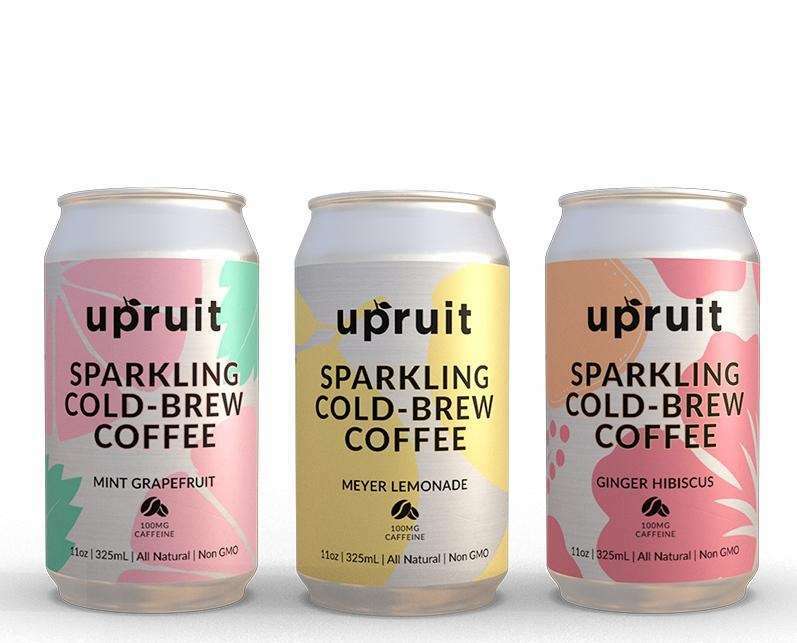 For an original taste, that, according to the brand is “craft energy for your mind, body, and soul,” Upruit has created sparkling coffee blends. Their goal was to make a beverage that was light, refreshing, and energy-giving. Tired of the same old taste? This superfood coffee beverage comes in three distinct flavors: Ginger Hibiscus, Meyer Lemonade, and Mint Grapefruit. They use real organic ginger, mint, and hibiscus, and opt for fruit juice over concentrate or “essences of fruit” for an all-natural, delicious taste. 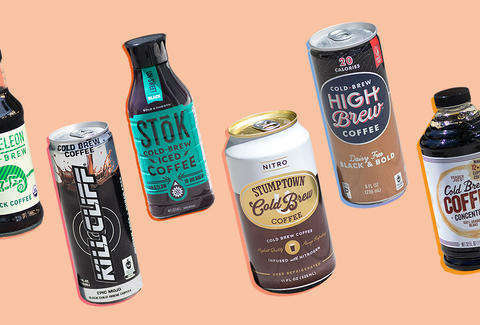 Each beverage is packed with electrolytes, antioxidants, and, of course, caffeine for a mix that will both wake you up, and tantalize your taste buds. “Pure, organic, and plant-powered,” Pop & Bottle offers nothing less than the finest ingredients, superfoods, and flavors for tasteful and health-conscious brews. Made from certified organic ingredients, minus all the added thickeners, emulsifiers, sugars, sweeteners, and chemicals, these blends are pure, without compromising on flavor. Each bottle contains a high concentration of organic almonds for a smooth taste and all ingredients are sourced from natural, artisanal farmers. There are six different flavors: cold brew coffee, mocha, matcha, cacao, vanilla and golden. They can be bought individually, or in a variety 6-pack. 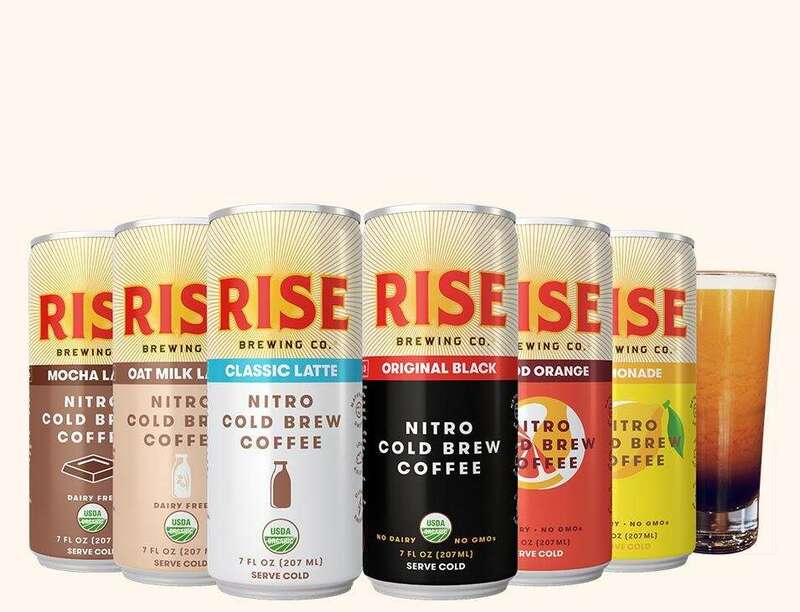 These organic nitro cold brew lattes contain 1.5 times more caffeine than other brands, but 70% less acidity—truthfully, Rise is on the rise when it comes to RTD brews. This brand combines the tastes of stout beer and iced coffee for a frothy, creamy blend. Created with purified water filtration, non-chemical processing, and organic ingredients, these blends are tasty, with health consciousness at the forefront. There are six flavors: Original Black, Oat Milk Latte, Classic Latte, and Mocha Latte, as well as Blood Orange and Lemonade for more fruity tones. Each can is non-GMO and dairy-free. You can purchase them with 14, 30, and 60-day subscriptions and individually, or in several different variety packs.